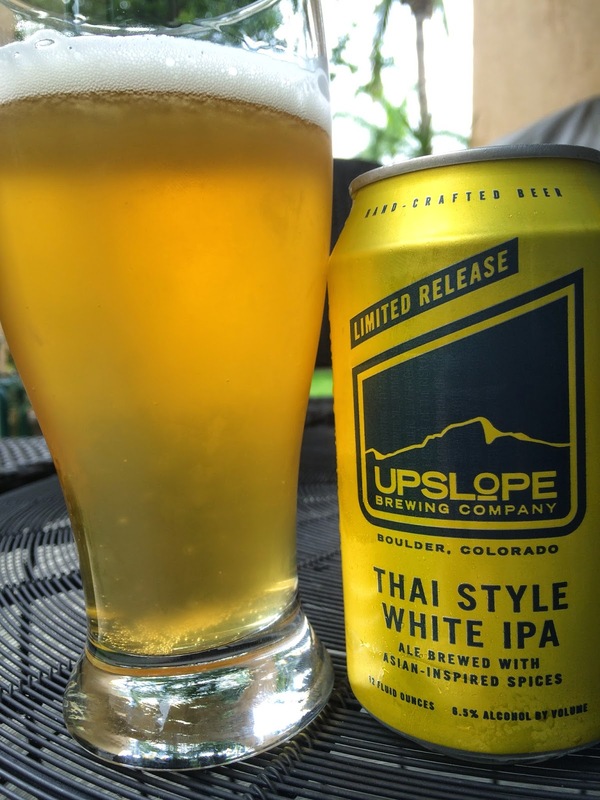 Upslope Brewing sent a can of their Thai Style White IPA a week or so ago. When my kid's basketball practice got rained out, I took advantage of the free time to check it out. This is a Limited Release packaged in a gold and navy blue 12 ounce can. 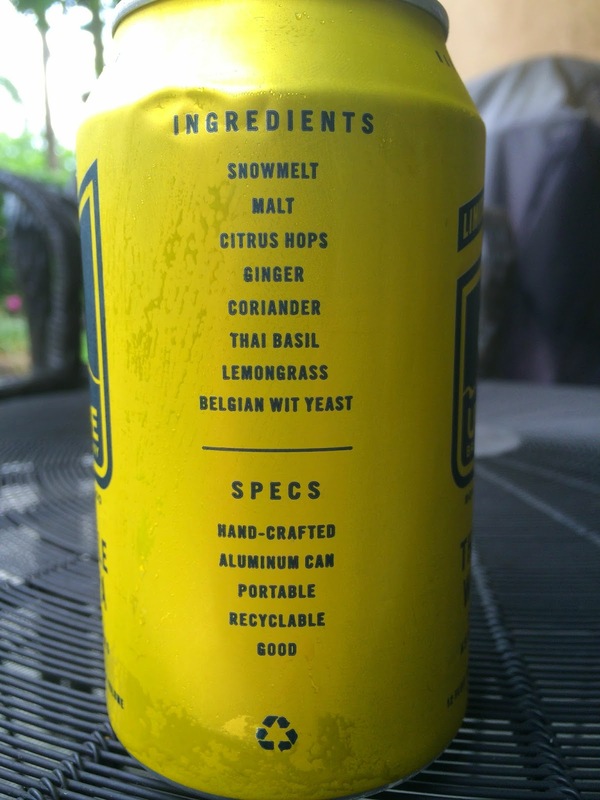 By "Thai Style" they mean it was brewed with Asian spices including ginger, coriander, Thai basil and lemongrass. 6.5% alcohol. Best By JUL 29 15. Strong Belgian yeast aroma with some lemon and generic spiciness. Sharp ginger flavors dominate the beginning. Tangy yeast comes next before yielding to a hoppy citrus and lemongrass flavor. After a few sips, a very powerful flowery flavor starts to build right alongside that initial ginger flavor. Coriander pops and lingers at the finish. I think Upslope got the product they were aiming for, but that ginger and accompanying spice basket gets a little much by the end. Just keeps building. I suppose that this beer would do better against some food that can cut the spices up (better than no food, my case). Or even cooking with it might be interesting! Anyway, check it out.